I was browsing youtube today and I watched a couple of videos involving salmon taking bombers in the surface. So: since this blog is all about testing out new things I had to test this out. The first attempt below was on a Dairiki 899 #1/0 and the deer hair wasn’t all that good, but I tried again on a tube (to see how that works out), and the above fly was much better stacked when it came to the deer hair and the hackle was more even. 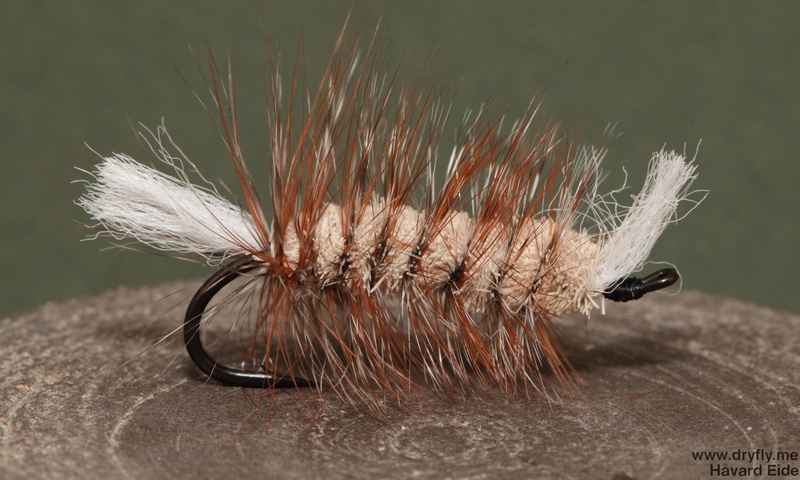 In smaller variants this will be great for trout in rivers where you need to attract a lot of attention, so, will tie up some in smalleer (#6/#8) to bring along this summer when troutseason is starting again.